Our product range includes a wide range of safety relief valves and stainless steel relief valves. We have gathered a huge customer base in this domain by presenting a comprehensive range of Safety Relief Valves. The offered valves are programmed for moving certain predetermined limits at the time of releasing pressure, thus helping in avoiding lot of industrial accidents because as well as also providing for improved safety processes. With the valves manufactured from quality carbon steel, alloy steel as well as stainless steel material options, these valves can handle temperatures from -20 DegreeC to 550 DegreeC as well as pressure from 0.20 to 700 Kg /cm2. Further, being cost effective as well as resistant to corrosion, these valves are made available in size range of 1/2" to 12" as well as set pressure of 0.20 to 700 Kg /cm2. 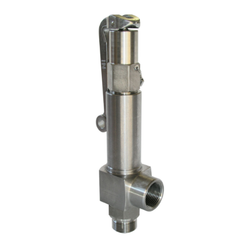 With phenomenal market understanding, we are able to introduce an extensive range of Stainless Steel Relief Valves. 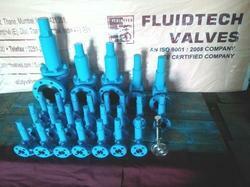 The offered valves are a mechanical device which normally allows fluid to flow through it in only one direction. There are two port steel check valves which has two openings in a body one for fluid to enter and the other for fluid to leave. We provide varied range of the cast steel check valves which are highly durable and cost effective. It can be easily customized according to the customer specifications and details.